I am a former art gallery and museum curator from the UK with many years experience educating children and adults about art. 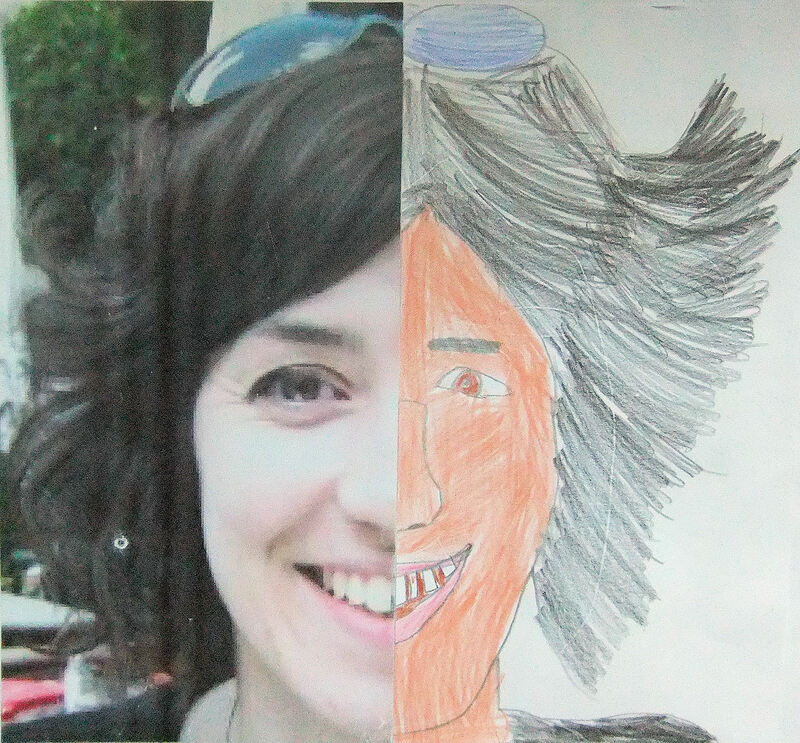 Since moving to Vienna (Austria) I have been teaching art to preschool children aged between three and six. My aim is to encourage them to be creative and experiment with their own ideas while learning new skills and experimenting with all sorts of materials and techniques. Art is a wonderful way for children to express themselves and grow in confidence, and I try to provide art projects that are exciting as well as educational, tailored to the children’s interests and motor skills at their particular stage of development. The ‘experience’ of handling paint, glue or clay, is far more important than the final product, but that does not mean that the children’s artworks are not beautiful in their own right. It is wonderful to watch a child drawing with such unconstrained freedom – they bring such enthusiasm, imagination and energy to their art. I am always amazed and inspired by the children’s creations and I feel that they deserve to be seen by as many people as possible. I find lots of inspiration from other art teachers’ blogs, and I hope this site will also spark ideas for your own creative projects. If you are inspired to try out any of the art projects from Hannah’s Art Club, I’d love to see the results. Please link back to my original project post using the permalink (the specific URL which is displayed in the browser bar when viewing the post. For example, the permalink for this page is https://hannahsartclub.wordpress.com/about/). However, please do not copy and paste my own images or text onto your site without prior permission. I also welcome your pingbacks, trackbacks and comments, which can be submitted at the end of each post. Really impressive work and a very professional blog. I’ll look forward to following it from here in SW France. I love your blog and have nominated you for the Liebster Award. Please check out http://mamacormier.wordpress.com/2013/01/21/im-honoured/ for more details. Thank you very much! I’m glad you enjoy the blog. I appreciate your support! Dear Hannah , mother & father have been here in my flat today and a newly acquired picture was hung. I have sent a photo of it to them so you may see it at some time. Lovely to see what superb projects you do with your lucky pre -schoolers . Clever you! Louise spent a year at Vienna Uni so I was able to visit. I remember the superb ice cream we ate on the street! Perhaps mother can bring you and your daughter to see me when you are home in the summer. Thanks Gill, I’m glad you approve! All the best. Like all the post in your blog. Very Creative. I searched for kindergarten and got here. What a fantastic blog – i feel re-inspired about my role in art education – thank you. So happy i stumbled across it – now in my favourites box! What a lovely comment! Thank you. Your kind words also inspire me. I am so happy to see this is valued overseas as well. My husband and I are currently in development of a website…Miativity.com (“My creativity. Shared.”) which will enable people of all ages to share their own unique creations (visual and literary)….an online virtual gallery, if you will. We would be honored if you might place some of the work you do with the kids in a Featured Gallery on our home page! Oh…the site will be launching in summer. 2013. The website sounds interesting – please let me know when it’s online and I’ll take a look! Thank you for the amazing project ideas!!! I just started teaching preschool art last year and I am currently putting together a 2 year curriculum for the school. My great love for art history has encouraged me to bring the kids projects tied to great artists. Your site is a goldmine for me!!! Thank you so much!!!! I was astonished by your strory, as mine is nearly identical. I have lived and worked in London for 11 years and I worked at the Tate Gallery for nearly 8 years before teaching art at a secondary school. Now I live in Munich and teach pre-school children art. I can definitelly see your gallery background in your work and I love it. I would be very interested in exchanging ideas with you. Please have a look at my website (it is only a fraction of my portfolio) and contact me if you are interested. I am really happy that I have found your blog. Thanks for your lovely comment, and sorry for taking a while to respond, but I find I just don’t have time for the ‘social networking’ aspect of blogging! It is extraordinary how similar our stories are, and somehow comforting to know there is someone else out there doing a similar thing to me! I loved scrolling through your Facebook album – some great ideas. I was interested to see your mixed media bonfire night project as it’s a bit like something I did with the kids a while ago – I love the multi-layered effect of the fireworks – is it oil pastel and watercolour resist? So effective. It is inspiring to look at other art blogs and adapt/develop/feed ideas into my own projects, and I hope that my blog does the same for others. So yes, I would love to exchange ideas with you! Thank you for your kind comment! I’d love to see your blog when you get going with it! This is the greatest thing ever. Your classes are amazing. I am a 49 year-old man living near Vienna (in the U.S.A.!) and these art projects get me so excited, I cannot tell you. My wife and I do not have children at this point, but that is not going to stop us from trying out some of these fabulous art projects. I love all the art that you posted by the kids. I’d like to use one of the Mondrian-style pieces in our house. Is there a way to credit the artist and/or support your work with the kids? Thank you for brightening my day/week/year! well my strap-line does say “art projects for kindergarten and beyond…”! I certainly have fun creating them so I see no reason why a 49 year old man shouldn’t have a go. Not sure what you mean by crediting the artist, are you planning to reproduce the child’s picture or recreate it yourself? Hi Hannah, I have a couple Mondrian-inspired paintings on a wall downstairs (including one made out of elephant dung!) and there is an electrical outlet right in the middle of things, sort of ruining the flow. I wanted to cover the electrical outlet with a Mondrian-style design and one of the kids’ paintings is a perfect compliment! Of course, that won’t stop me from trying my hand(s) at the technique the kids used. The descriptions of the processes you use are perfect! I love your photos & the clever designs the children have made! I am in the process of knitting a cowl for my aunt which uses yarn that reminds me of the chameleon you have pictured on your blog, & would like permission to post it with my cowl, with copyright credit to you of course, on Ravelry. Please let me know if it is okay to use it.